back in without without further disassembly of the striker assembly ? My finger tips just don't do so well with the small tight part's anymore. had an issue since in 2500 rd's or so but... I carry it, maybe cheap insurance. Removing and installing the striker spring is the hardest part. I'll try to take some pics of the procedure this afternoon. I doubt I can make a decent video. and replaced without removal of those parts, I'm think'n its doubtful. What I meant to say is that if you can remove/reinstall a striker spring, installation of these parts is no big deal. 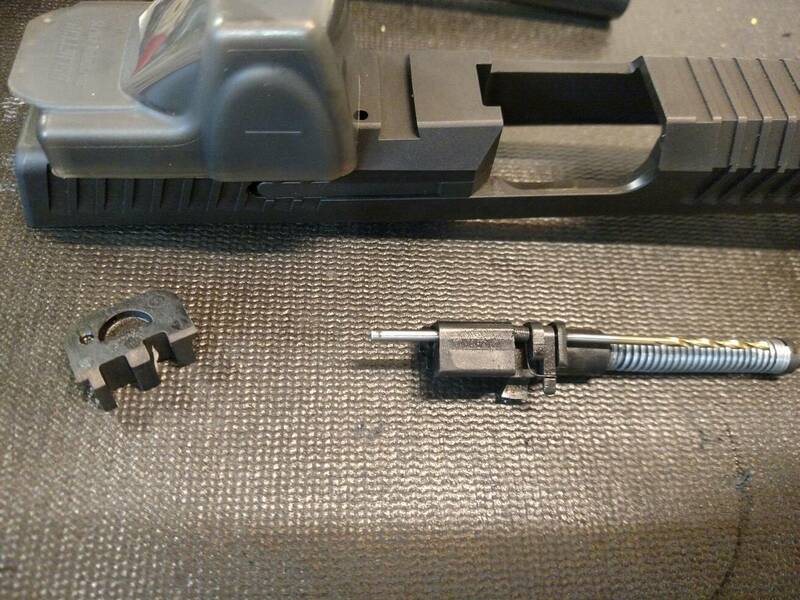 The striker spring doesn't actually need to be removed. You push the OEM retaining pin out with a 1/16" pin punch, keep the punch in position, then push the new pin in. Check the safety pivot for operation and reinstall the assembly and new striker plate. Very simple. Here is a pic of the pin pushed part way out and a pic of what it looks like installed. Well... Duhh, the answer was in plain sight. The pic's look good, doesn't appear to be a down side, gonna order one . A RDS may be in my future. I agree, the order's in. Yup, what Earl said ^ is how I did mine. Use the punch as a slave pin. A couple of notes on installation. First off a 1/16 punch was much too big to use as a slave pin on my striker assembly. I had to use a paper clip. Second, I had to adjust the hole on the backplate so it would snap in and mate with the extra length pin. I used a utility knife. 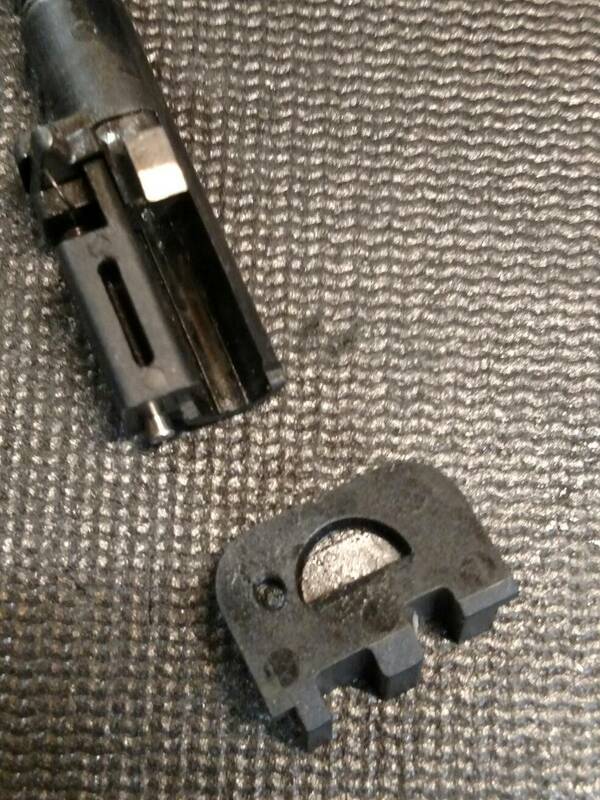 When the back plate and extended pin mate properly, you shouldn't be able to see any of the extended pin. It certainly should prevent rotation of the striker assembly, and is good insurance in my mind. I have one of the very first P-10C's, haven't had any problems with the back plate, but I figured the CGW kit was cheap insurance. It came in yesterday, install took less than 10 minutes. Seems to function check ok, hope to get out and shoot it next week.